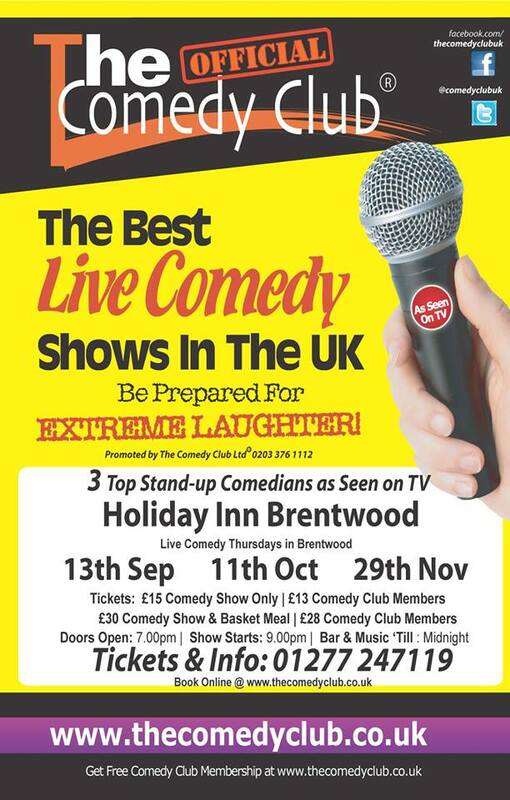 The Official Comedy Club has arrived at the Holiday Inn Brentwood. Having brought ‘Laughter to Life ‘ for the very first time 22 years ago in Brentwood, we now return bigger and better than ever! Come and join us & witness this fantastic venue transform into a stunning comedy club. The show comes with 3 great comedians from the very circuit that launched today’s stars such as Michael McIntyre, Jimmy Carr, Al Murray, Jason Manford and so many more, so you know you’re in for a top night out!